Egypt's elections committee rejects defeated candidate Hamdeen Sabahi's appeal against voting results that gave Sisi a victory. Egypt's elections committee rejected on Sunday a defeated presidential candidate's appeal against voting results that gave former army chief Abdel Fattah al-Sisi a landslide victory, judicial sources said, according to Reuters. Leftist politician Hamdeen Sabahi only got 3 percent of the votes in last week's elections, according to initial results that showed Sisi in the lead with 93 percent of votes. While Sabahi had conceded defeat, he said the initial turnout figure of over 40 percent was too high and "an insult to the intelligence of Egyptians." Sabahi's campaign sent a complaint to the elections committee on Friday objecting to what it said was "the existence of campaigning inside polling stations" by Sisi supporters, among other abuses, according to Reuters. It also appealed to the committee to nullify all votes cast on the third day of polling, which was introduced at the last minute of the second day of the vote on Tuesday in a surprise move to boost low turnout. The court’s decision secures the victory for Sisi, who gained favor among Egyptians after he ousted Muslim Brotherhood President Mohammed Morsi last July. It is hoped that Sisi’s election will bring about a calm in Egypt, though former Israeli Ambassador to Egypt Tzvi Mazel told Arutz Sheva on Friday that Sisi will have a hard time putting the country in order. "Egypt is a poor country, with 85 million residents. Every half year another half a million babies are born there, and every year 800,000 residents join the mass of job seekers; the financial situation is very difficult," Mazel said. Without support from the West, Mazel says Sisi will have a rough time rehabilitating the Nile state which has been engulfed in violence since the 2011 "Arab Spring" which led to the ouster of former President Hosni Mubarak. 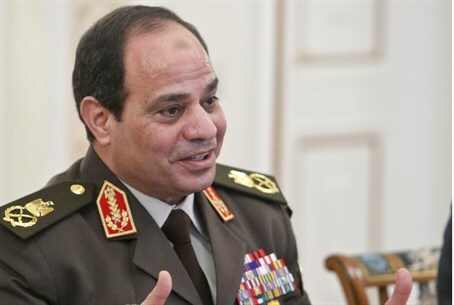 "At this stage, Europe and also Obama have turned a cold shoulder on Sisi, claiming that he held a military coup and suspended the elected president; that's a serious problem," remarked Mazel.